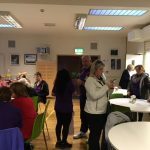 The Community Cafe at Cumann na Daoine offers a welcoming space to enjoy a cuppa or bite to eat in friendly, accessible surroundings. The menu is affordable and our chef Dan uses local produce wherever possible. Cafe manager Caroline hopes that people will make use of the Cafe to find out more about activities at Cumann na Daoine and adds that local and national newspapers, as well as specialist magazines (Changing Ireland, Voice of the Traveller, Gay Community News) are available to read. The Community Cafe also offers a new experience for groups who are holding meetings and events. 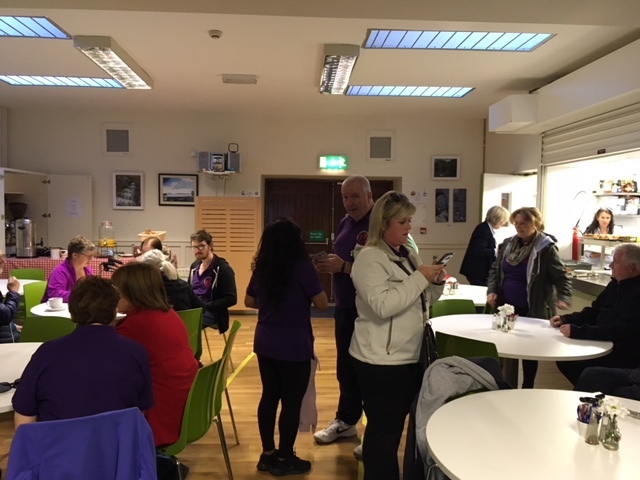 Linked to Cumann na Daoine’s Main hall, the Cafe can offer refreshments (including barista coffee) or pre-ordered lunches, to make your meeting go with a swing! The Cafe’s involvement in the recent Le Cheile multicultural event was a great example of collaboration, with the Cafe providing backdrop for this Local Community Development initiative, delivered in partnership with LTI Culinary Skills students. 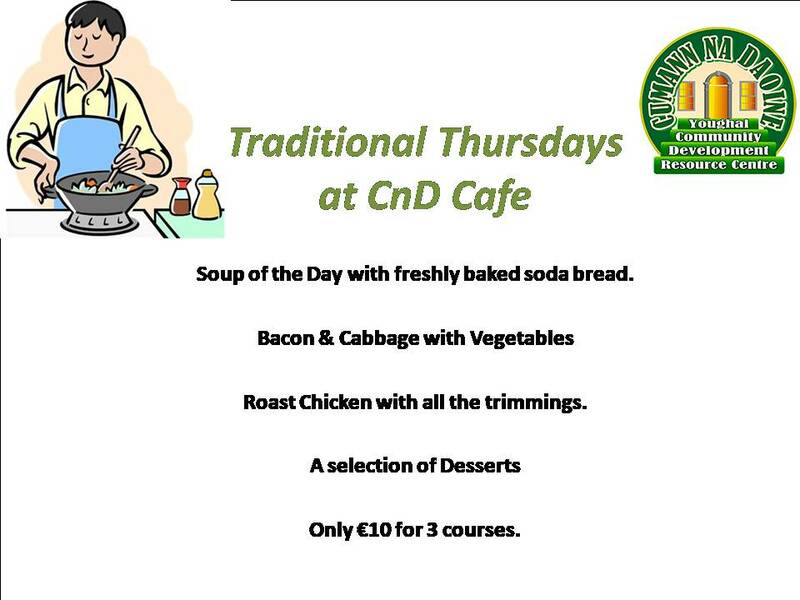 For more information on the Community cafe, booking rates, menus, availability etc. email Caroline on cafemanagercumannnadaoine@gmail.com or ring the front office on 024 91900. The Cafe is open 9-11am for breakfast, and 12 – 3pm for lunch, Monday – Friday.